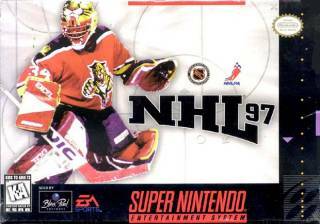 NHL Hockey '97 for Super Nintendo features the NHLPA License. Select for all NHL teams available. You can control the goalies and provide bigger hits. It also includes one-timers and penalty shots.